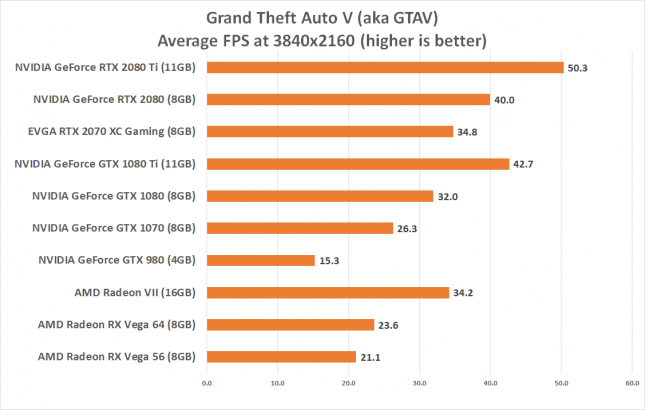 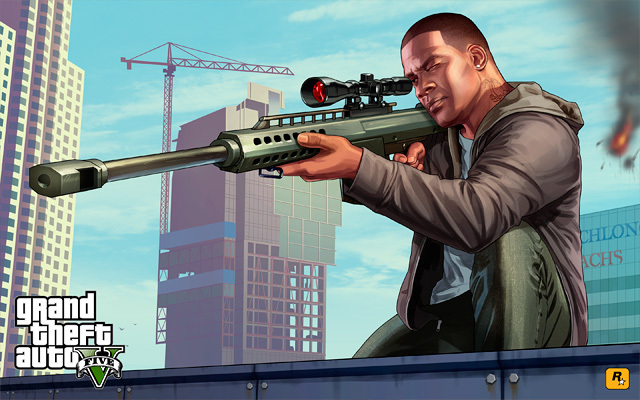 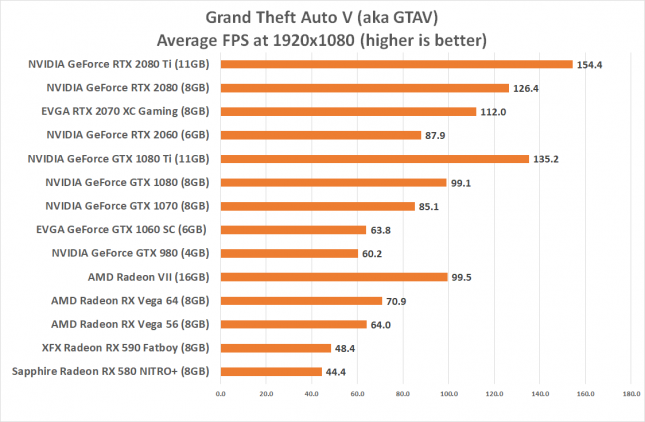 In Grand Theft Auto V we set the game to run with 8x MSAA with 16x AF and high image quality settings. 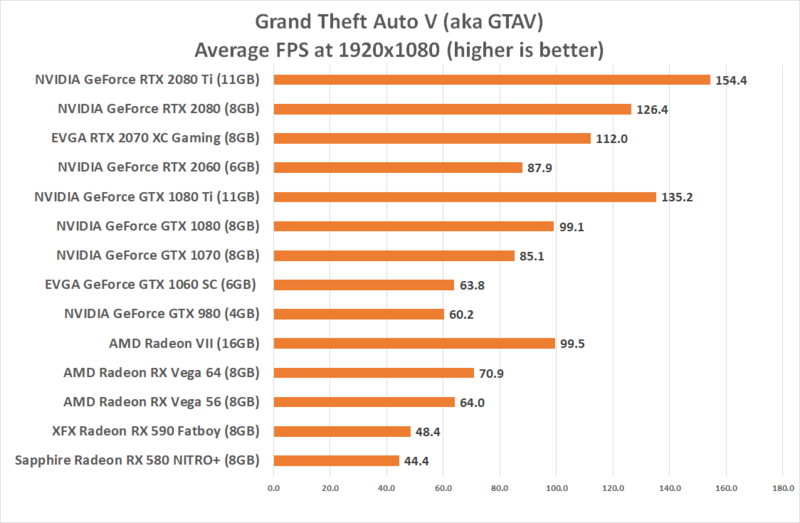 We used the games built-in benchmark utility t and averaged all the five of the default benchmark runs and omitted the maximum values as those results have major inconsistencies. Benchmark Results: This game title might be considered ‘old’ by some of our readers, but it is still played by many and was a fun game. 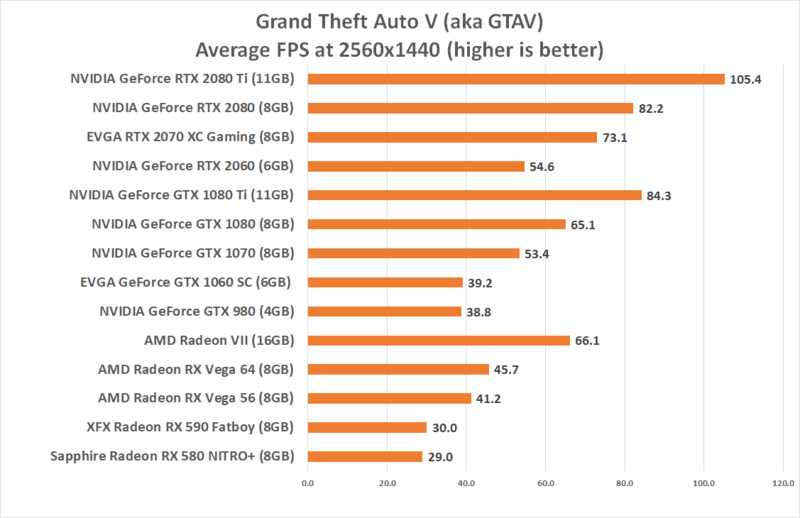 The Radeon VII is the first card from AMD to average over 60 FPS with our aggressive settings at 1440P. 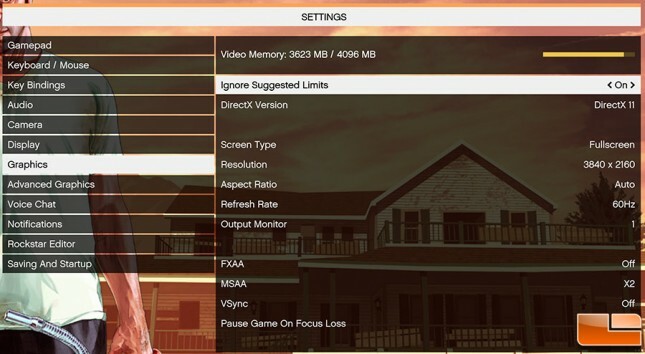 We saw a 45% performance improvement from the Radeon RX Vega 64 at 1440P with the Radeon VII!